Come on we need some long term dedicated players. We are having fun so come join us. This was a photo of our latest adventure. We got together to kill 3 withers and were left with this mess of a cave. Why do you want to join LimboLand? Why us? (detailed response): I haven't played Minecraft in a while and I've been wanting to get back into it. I've been having a hard time finding one server that I really enjoy. I like to stick to one server at a time. KainRogers told me about your server, with its great staff and community. I would love to join and be apart of this server! What is your building/playing style? : I'm a pretty laid back player, I usually keep to myself. I build with more of a rustic/medieval style. And I like my piggies. How much time can you dedicate to the server? (we are looking to have a very active community): I can play for a good few hours a day! Probably 3-5 hours, depending on the days I work of course! What can you offer LimboLand? : I'm an extremely helpful person, I'm willing to put others before me! Just ask and I will be there in a heartbeat. P.S. : I have been a moderator/admin on many Minecraft servers. I know how to read and follow the rules. If I am whitelisted I can promise to help the server in whatever way I can. Whats up Millyeh, Kain told you about us eh? hahah good application we welcome you to limboland! Awesome! Thank you! I work in the morning but I will definitely be on when I get home! What can you offer LimboLand? : Innovative redstone devices, and a unique and diverse building style. Hey yall, we are still accepting members to join our server family here on the Limbo Land server!! Also, we have reverted back to vanilla minecraft! We are vanilla now once again yaaaayyo! OK, well I hope to see some new members wanting to join our server with our already awesome team of players !! Now go fill out that application!!! Where you are from: The States! MST! How long have you been playing Minecraft: Since Beta! 2 Years Ago! Why do you want to join LimboLand? Why us? 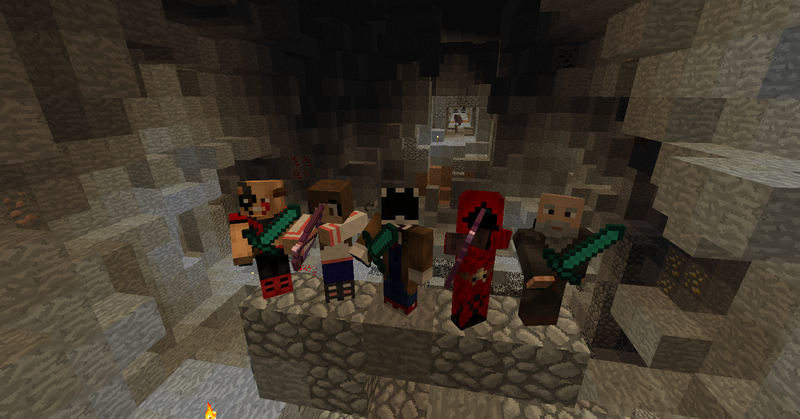 (detailed response): I have been looking for a well put together SMP server, that whenever I'm feeling down, I can hop on and have a good time with my friends. I am looking forward to creating a shop at spawn, and contributing a lot of time, and effort to your SMP. What is your building/playing style? : I build fantasy/modern houses. I'm a pretty good builder and do have proof. How much time can you dedicate to the server? (we are looking to have a very active community): I can record around 3-4 episodes a week. I will be on the server everyday working on my stuff though! What can you offer LimboLand? : I can make 3-4 videos on the server a week. I can get on the server everyday, and have a good time with the community! I'm honest, and don't steal from others. I am looking forward to fighting some withers, and the enderdragon with the community! I love SMPs, and hope to join yours! Sporty8129 you are now added to the server! come on and play! -Why do you want to join LimboLand? Why us? (detailed response): I would love to be on your server for a multitude of reasons. The 3 main reasons would be a substantially lowered number of griefings, a welcoming/friendly community, and a non-overwhelming amount of immature others. The reason you in particular is due to the fact that you appear to be fresh, active server with a unexplored terrain, in need of settlement! How much time can you dedicate to the server? (we are looking to have a very active community): I am in school still, meaning I am rather free for the rest of the Summer. I am able to squeeze at least a few hours (or more) in everyday. -What can you offer LimboLand? : A multitude of things. Anywhere from helping a fellow player out, to giving out needed materials, to simply greeting each and every person as they join, to attempting to keep a peaceful and welcoming atmosphere on the server. Building wise, I can offer some redstone 'works', walls of epic proportions, (a) castle(s), and more. Ok so, I accidently posted twice ._. Anyone know how to delete one?